Was it just me, or did you wake from finally putting away the last Thanksgiving chafing dish only to discover that it was the first day of December? This fall has literally flown by; unfortunately my holiday to-do list has not taken flight with it. As I look at my calendar, myriad of task related post-its, sheets of lined note paper covered with bullet points of things to accomplish I can feel the holiday panic starting to rise. But wait; wasn’t I just standing on that ledge a couple weeks ago? Did I jump? No! I took a deep breath and focused on what truly gave me joy. Last time I looked I still had joy. These next few weeks I am going to concentrate on what truly gives me pleasure. As for the rest I’m either going to outsource, minimize or skip some all together. Seriously where is written that you must do everything yourself, by scratch, and perfectly. The answer is simply- it’s not. I am Scandinavian, which means we celebrate Christmas Eve. It also means we serve up the entire turkey spread once again. 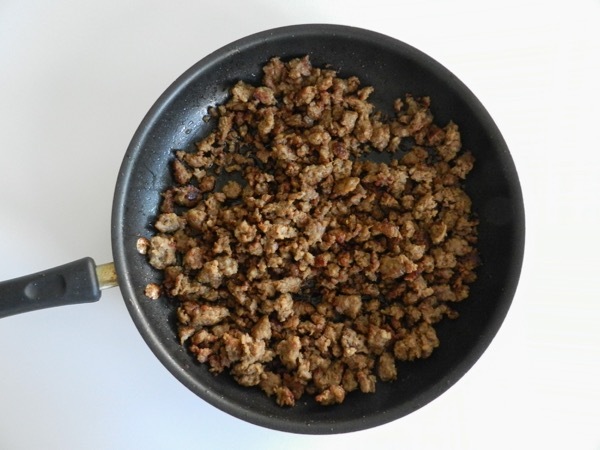 So while in the last post I showed you how I chose to a few cut corners, in this post I am going to share with you something that gives true delight- my grandmother’s amazing sausage stuffing. 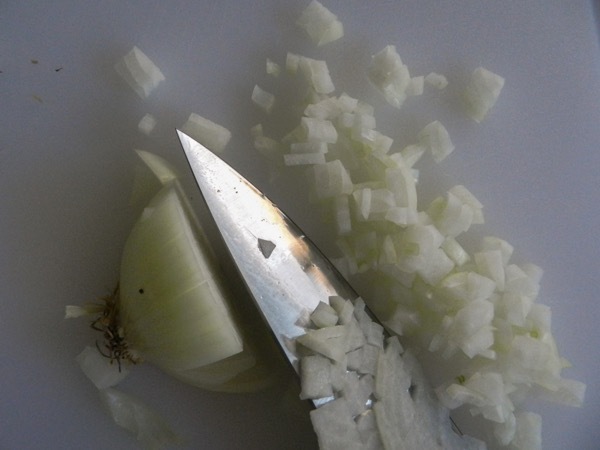 The key to making this dish manageable is to break it down into pieces and tackle it over a period of time. 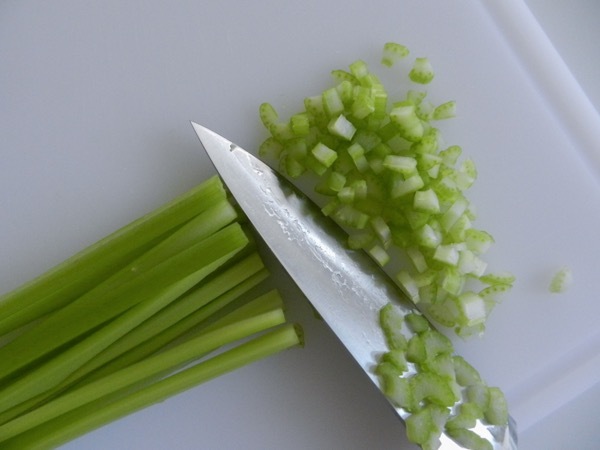 The day before- finely dice two cups of celery. Place in a Ziploc bag. 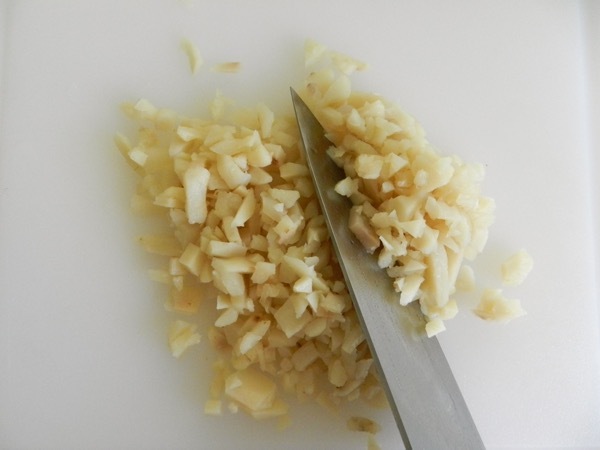 Finely chop an onion. Place in another Ziploc bag. Now place your three prepped Ziplocs into the refrigerator for later use. 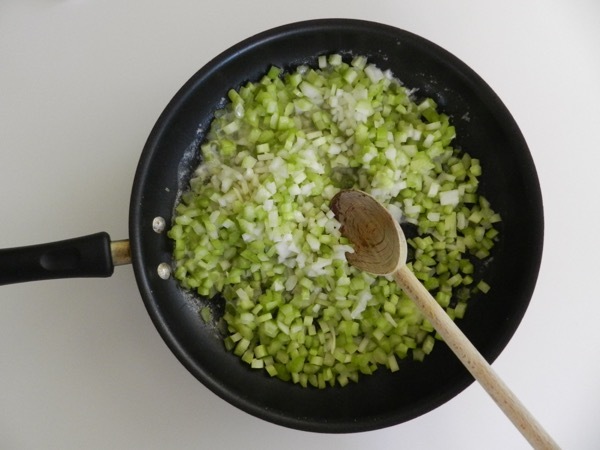 The morning of- sauté the celery and onion in the butter in a large skillet over low heat until tender but not browned. Stirring occasionally. 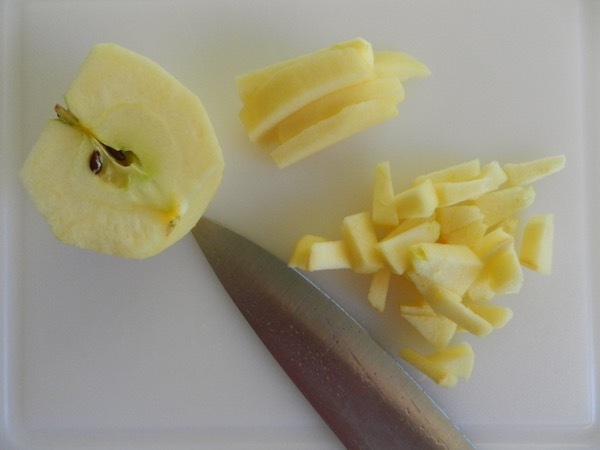 Peel, core and finely chop an apple. 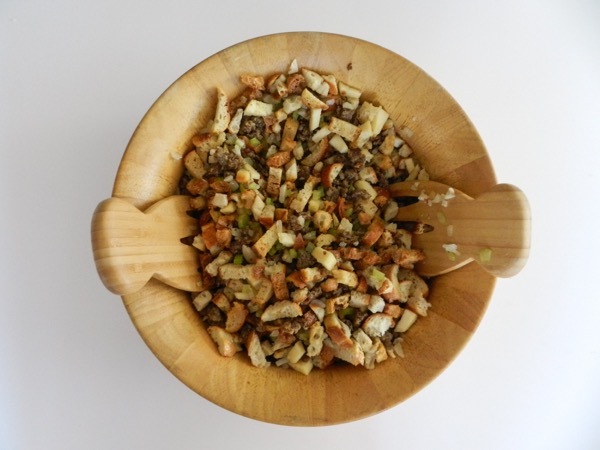 Add the sautéed celery and onions, apples, and water chestnuts to the seasoned bread cubes. Toss well. 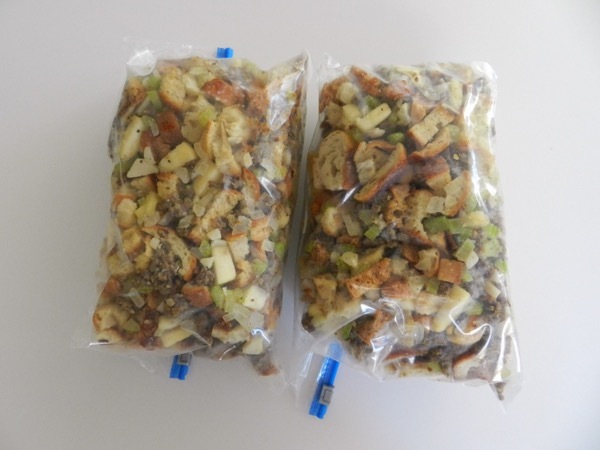 I now divide the stuffing at this point into two large Ziploc bags and place them in the refrigerator until I am ready to bake them. You might wonder why not just put the stuffing into its baking dish. 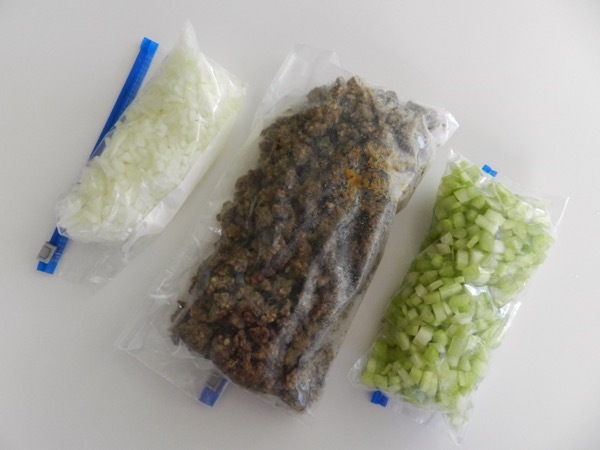 The answer is it’s a heck of a lot easier to stow two stuffing filled Ziplocs into a crowded refrigerator than a huge casserole dish. 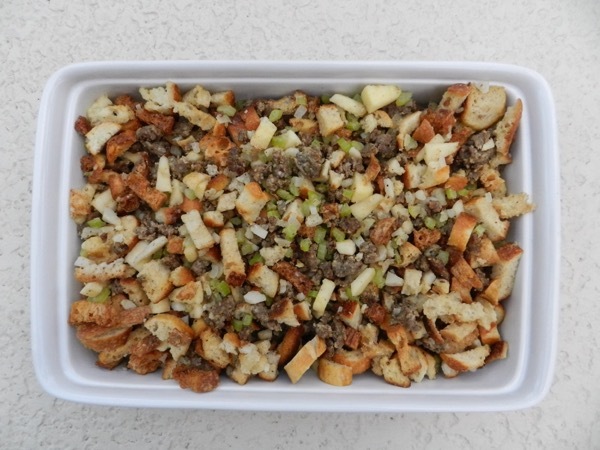 An hour and a half before dinner, place the stuffing in a large buttered Pyrex dish or two buttered casseroles. 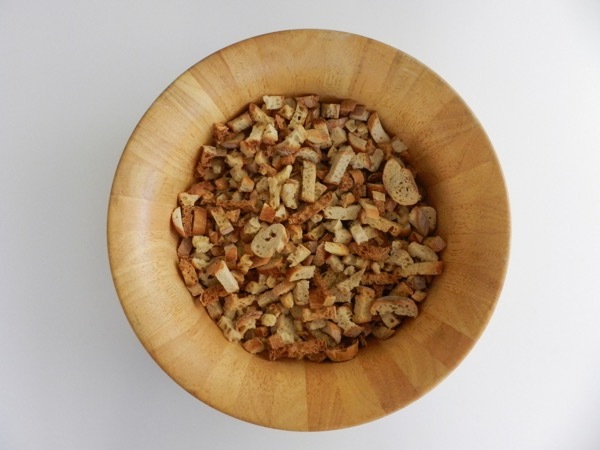 Drizzle with up to ½ cup chicken broth to moisten. Bake in a preheated 350 degrees for one hour. 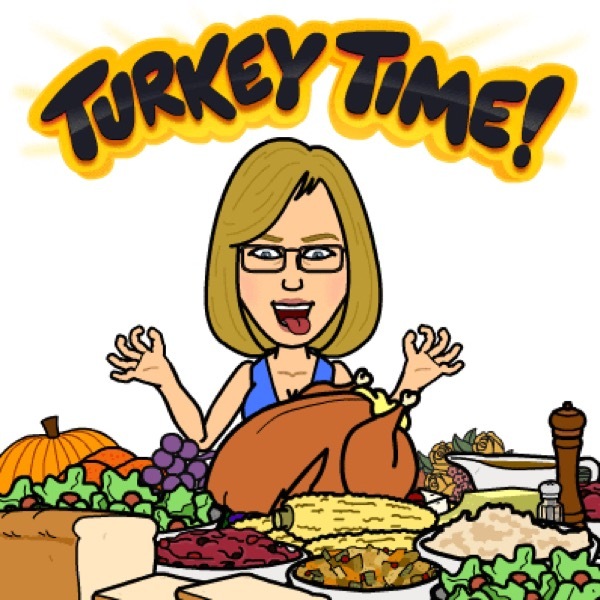 Now you can see why my Bitmoji at the top of this post is literally jumping for joy that it is turkey time once again.